Nova frowned as he padded through the part of the territory where the river resided and went into the glowing meadow, all the while looking for any that didn't smell of his pack or any wandering predators. His foot falls slowed as he smiled slightly at the glowing fireflies along the herbs and grasses. This was a place where he was at peace and where he felt more alive. Here among the sky above and the waving grasses, the stars had come out now so he decided to end his patrol here and sat down looking up at the stars. Padding through the new and undiscovered territory, she walked along side a river. The crashing of water against rock a soothing sound in her ears. Her feet crumbled the damp dirt beneath her feet, leaving small footprints as she walked. For a moment, there was silence, but it didn't take long before the creatures of the night emerged from the shadows. A owl hooted in the distance, crickets chirped in harmony. The darkness surrounded her, the only lights to guide her being the stars and moon above. It was peaceful and quiet. Considering the long an restless day she had had traveling, it was well needed. Eventually the river led her to a meadow, one lit by the light of the fire bugs. A small smile crawled onto her lips, she had heard stories about these creatures. It was said if you stayed very silent that they would light your way through the darkness. Yet, she had never seen them in her life time...until now. Slowly, she began forward, careful to not scare the insects. Although the sight of a silhouette in the moonlight caused her feet to stop abruptly. She wasn't alone. Lily squinted in an attempt to get a better look at who she might be approaching. Without much luck she was left with the conclusion that it had to be but another wolf. Perhaps, if she was lucky this one would be friendly. The last thing she wanted to do was get in a fight with some stranger, yet she wasn't afraid to do so if pushed. Placing one paw after the other, she strolled forward. The light casted down from the moon shinning on her pure white pelt, creating an eerie glow. Once she felt that she was close enough to the male, she sat down. Sure to keep her distance incase he happened to be a not so friendly encounter. Her tail wrapped around her paws comfortably. "Beautiful isn't it?" she whispered quietly, her azure green eyes drifting to the sky. 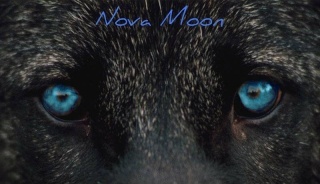 Nova heard someone approach as he turned his head down and to the wolf coming close, it was then he had to prevent his jaw from dropping. A pure white female was padding his way, moonlight lit up her beautiful fur as the fireflies flickered on and off letting her face to light up every so often. He cleared his throat after she arrived and sat near him. Her voice was so light and her tone seemed breathless as he nodded and stared away from her back up to the stars above and not the pretty star here beside him. His heart thudded a bit in his chest as he responded, also whispering" It is. I love coming here, it's so quiet and all you can hear is the crickets chirp and the river flow." He sighed contented as he asked" May I have your name Miss?" Lily's body tensed as the male began to speak, however as she heard his gentle words she relaxed. Maybe this wolf wasn't a threat after all. Her eyes remained on the sky, moving amongst the fireflies fighting the darkness. It amazed her how something so small could make such a difference. She wondered why they scattered with sound, if it was an act of defensive or simply in there nature. It was one question that he preferred to remain unanswered, she liked the mystery. She nodded, agreeing with the male. The sound of the water was still very noticeable to her, thought it always was. There wasn't a moment when she didn't feel drawn to it. It only took her a moment to realize that her gesture would remain unseen. "Its peaceful." she admitted. "But I rather like being called miss" she said, giving the male but a quick glance before her eyes traveled back to the sky. This time, it was the stars that she gaze at. The endless color of the night. Her name was something she rather not sure, certainly not to a complete stranger. She knew nothing about this wolf and frankly everything about her was on a need to know basis. If he wanted to know something, boy would she make him work for it. "And you are...?" she asked somewhat curious to who she was speaking to. For all she knew he was a murder on the run, although she doubted it, the suspicion was still very much present. 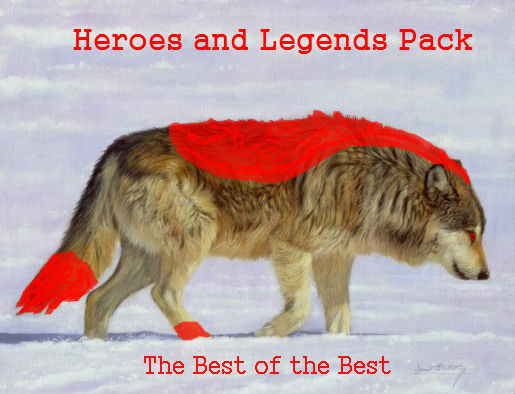 "I'm Nova Moon,Lead Guardian to the Heroes and Legends pack." he stated as he grinned. He understood that maybe she was unsure about him, a lone male out in the middle of a meadow looking at the stars. Deep voice and tall. He chuckled inwardly a bit at her caution, though he was indeed proud that at least she had a good head on her shoulders. "Sorry for not introducing myself before asking your name, Miss. I am not usually that blunt." Her eyes found his as he introduced himself, white she lowered her head slightly, as a greeting. "Pleasure" was the only word she felt the need to say. After all, she was the quiet type. Speaking, even this much was...new to her. However, she was surprised at the fact that the wolf she seemed to be sitting near was the Lead Guardian. What was the chances of that happening? Was it a consequence or pure luck? Of course with this information came her curiosity to know more, mostly about his strengths and just how strong he was. Lily's ear twitched at the silence, the water still tumbling from rock to rock endlessly. "So Nova Moon, tell me..." she turned to face him, dragging her eyes away from the light. "What is a Lead Guardian doing way out here all by himself?" she rose a curious eyebrow. He sure seemed mighty friendly to be such a warrior. Either that or he didn't see her as a threat. Not ever wolf traveled to new lands simply looking for someone. Perhaps, she was underestimating him, or perhaps she wasn't. Who was to know? Though the old wolf she had met during her travels was smart and wise, she wouldn't have chosen just anyone for such ranking. "I'm just patrolling the lands to see if anything out of the ordinary is around, I think we are safe for tonight. I was looking around the river before I came over here to stop for the night. I thought I would just sleep under the stars and fireflies." He liked the way she spoke, so polite and elegant. Then he realized what he was doing in his mind and threw his guard up before it crumbled all over the place. " Why are you out here, Miss?" His mother said to always be polite to others and if they insisted on pushing buttons in your temper then let em have it. At the moment, in this calm night, he wanted nothing more then to remain a gentlewolf. She stood up, stretching and pulling her muscles before standing up straight. A light breeze blew through he pelt briefly reminding her of the cold nights back home. The increased temperature and new creatures were going to take some getting used to. Lily was sure she could do her best to make things work here, she had come here to finally start over and to meet up with a lost memory. Hopefully, things would work out and she would be welcomed to stay. There was alot she could offer as a regular wolf and with her powers, even if she kept them a secret from everyone they still worked. Once again, she nodded. He seemed to be right, she didn't see any danger lurking about, but most never did. She struggled, almost carelessly. "Just searching for an old friend, it seems I have become side tracked." she admitted truthfully. For a wolf such as she becoming side tracked was hardly a rare occurrence. She tended to be too involved in her head to notice the world around her most of the time. "I shall leave you to your slumber." tipping her head, she turned on her heels back to the river. Chatting time was over, it was time for her to get back to exploring. If Nova needed sleep then so be it, she understood, even if she herself didn't sleep much. Lily jumped onto a moss covered rock submerged in the middle of the rushing water. The glow from the moon lite up the water, making it look clear and transparent. "Hey! Um wait! Do you need some company? Maybe an extra nose to help you find your missing person?" He had stood at her words and watched her leave, but his mind said Go after her idiot! He looked at her on the mossy rock and awaited her answer, hoping it was indeed yes and that he could at least talk to her a bit longer. Also he didn't like the idea of her walking in the dark by herself though he did feel like she could take care of herself easily. Thing was it never hurt to ask. "By the way I'm sorry for sidetracking you." he shook his own head at how stupid that sounded. The small white female shook her head, a small smile corrupting her composted features. Well if not a one curious, he was persistent. She had much doubt that she would become side tracked, yet again, from her journey, perhaps allowing him to tag along would keep her from straying from her path. "It wasn't your fault, I get distracted rather easily." she said her words getting crushed by the sound of the rushing water. "If you wish, I will not be the one to stop you. Though, I do feel the need to say that rest is important and if you must, sleep." her voice rose a bit, just loud enough to make sure the male could hear her. A little company certainly wouldn't kill her, especially one who knew the lands. One after the other, her paws glided her forward onto another rock. This one being much larger and sturdier. For some odd reason, she found herself waiting to see if Nova was to accompany her. If not she would go on her path all the same, but if chosen to tag along she would do her best to not be completely rude and silent. The water may be calm towards her, but towards a stranger she was unaware of how violent it may flow. Like always, her powers remained hidden from the world. Some may even think that she was ashamed to have such a gift. Though, truthfully she wasn't one to brag and would rather keep the extra information to herself. If there was ever a day where she met a wolf that had powers such as she, the maybe just maybe she would let them show. But until that day, she would remain silent and unseen. A mystery, one only awaiting to be discovered. Nova watched her leap from rock to rock as he willed his ice over the expanse covering the water at his point with the ice of a bridge. He slowly walked over it and to the other side, waiting on the lady wolf. "If you need help crossing I can make you a bridge ya know." he said concerned she would fall but knowing she wouldn't. He left the ice bridge up if she wanted to hop over and cross that way from the rock she stood on for they were close enough to where she could leap and land and not slip. "No I'm...." she began before she was stopped mid speech. Small ice crystals formed over the water in the males path, creating a bridge. "...wow. "She stood there, breathless. Was her eyes deceiving her? Lifting up a paw, she set it carefully onto the ice. She moved it gently over the surface in fear of breaking the fragile bridge. Sure enough, it was there, she wasn't crazy. Lily could feel the water pulsing and flowing beneath her paw. Nova had created the ice as if it was the simplest thing in the world. It was amazing, truly amazing. It may have been a simple task for a wolf as he, but to her it was huge. Everything she thought she knew about her powers, were but a mere part of the knowledge she was capable of be holding. There were others, like her. For once the thought occurred to her that perhaps this was why this wolf was accepted into this pack. Unlike most she was very aware of the wolf's power she had run into long ago, maybe...just maybe the pack was created for such wolves. Lowering her other paw onto the ice, she tested it's weight. The water would not bother her, yet she was grateful for such a small act of kindness. However, it did make her re consider her life decisions. The question of should she tell him came to mind. He had shared his power, so why shouldn't she? Somehow she didn't find it so simple, her gift has been kept hidden from many her whole life, to openly announce it was something that she would have to sit down and think about. "Care to explain how that was done?" she asked, walking onto the ice before jumping onto the solid earth. For now, she would play the clueless one, eager for answers. She had very many questions that required answers. Though, to ask all of them would take the rest of the day at least. Frankly, she didn't think either of them had that kind of spare time. "That was unnecessary." she said before realizing that her comment was rather rude. 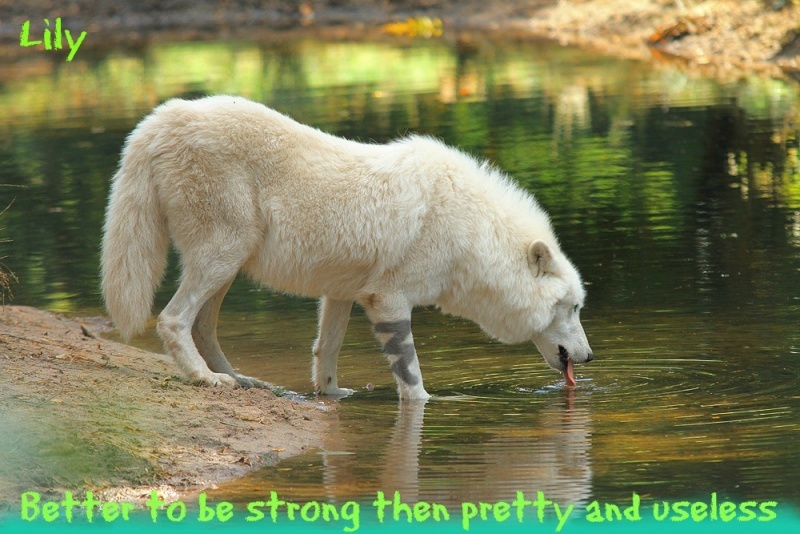 To any other wolf, she wouldn't have cared but towards one that was being so kind to her, it was different. "But thank you." she glanced at him before scooting past. Nova grinned as she crossed the river on the bridge and as fast as it had come into being it vanished after she set foot on the ground after he did. He walked after her and answered her question then responded to the two statements after. "I have had Ice manipulation powers since I was a pup. Me and my dad and brothers all had it. My mom was the only normal one. I can create anything that comes to mind from a bridge to a sculpture to spikes as sharp as a wolf's teeth. It's ok to ask, and your welcome." He never minded revealing and telling of his powers, they were a badge of honor to him seeing as he had yet to meet another ice wielder." Are you ok Miss? I didn't scare you with the bridge did I?" She listened to the male closely, finding but one part of his story odd. Never had she heard of a family all wielding a power, was it luck perhaps? For her this was strange because she was almost the completely opposite. Her parents weren't gifted like she, though her ancestors were it was still different from what she grew up around. It must've been great as a kid. The thought of being able to turn a liquid into a solid fascinating her, mostly because it was her element. But there was also the interest at how he had learned to do so. "Even if there is no water nearby?" she glanced at him as she spoke, finding herself paying more attention to Nova then to where she was actually traveling. That question could be answered in many ways. She knew better then anyone that there was water everywhere, from the clouds, to the trees, there wasn't a place you could go without it. Yet, that was not what she had meant. Obviously bending the water was out of his control, so without a body of water she found it unlikely that his powers would be of use. "Not at all, you simply sparked my curiosity." her eyes moved forward to the trees in front of her. Lily had no idea where to begin searching, nor did she have an idea where she was leading the male to. She was simply, wandering, aimlessly. The rushing of water grew louder, indicating that the ice had disappeared. He made it look so simple..so easy, she didn't like it. It had taken her what felt like forever to master her powers. Then again she was practicing everyday, or no that she thought about it, at all really. "Never really thought about the water part, Ive always been near or around a water source so I can usually always produce ice and since we live here it's sorta easy. Ice is below us in the ground all around us and I have come across times I couldn't make ice. Like in sand or in rock. But I lived on the Tundra all my life so I was able to make ice all the time. I didn't do it all the time but just with my family. The others in the pack didn't like new stuff much unless they made it first, and even then it was run by a buncha elders. So ice manipulation wasn't always wanted." He kept walking as she did and noticed that she seemed lost here, "What parts are you looking for? And who? I may know them or the part of the territory your looking for." "I always like to have people ask sometimes about the ice. Your welcome to ask more about it if you want. And when i can't make ice I have to fight with my claws and fangs which I learned through my dad as well as the guardians that i used to live with. So when the Alpha here asked me to pick a rank I asked for lead guardian because I knew i could do the job." She nodded as the male spoke, finding it surprisingly easy to follow along. All of it made sense really and she understood some were hesitant around others that were 'different' Lily had learned to discover that the only reason normal wolves didn't accept wolves like them was because of their lack of knowledge and incapability to do what they could. For being so quiet before he seemed open and willing to explain his past and his abilities. Honestly, she would've expected the opposite from a lead guardian. Most were cold,strict, and rather unfriendly to strangers. But he seemed comfortable sharing his thoughts with her, even if she was unwilling to do so in return. She shook her head, "I'm not sure, my arrival was intended to be a surprise." she admitted. Right now, finding the old wolf she had run into was the last thing on her mind. Every answer Nova had given her was still whirling through her mind, putting a new perspective on how she looked at her power. Lily nodded once again, being able to protect yourself was something she stood firmly with. If faced without an ab normal power, one should be able to defend and do what is necessary to survive. She even considered herself a warrior. "It's fascinating, honestly." she said softly, a rather different tone then what she had been originally been speaking in. When curiosity dragged her forward she tended to act by it and not her brain. Therefore, causing trouble for her and the ones around her.
" I'll tell ya what, we can go to the caves and you can go search yourself. Be careful though, bears like to roam in those caves when they want a warm place to sleep for the night. On the way you can ask me anything you wish." Nova led the way to the caves, waiting every so often for her to come to his side then he would start off again. His eyes roved around for anything out of the ordinary. Lily smiled internally at Nova's mention his concern for bears. The last thing that was on her mind was being attacked by a furry beast. She had dealt with much worse in the mountains. Even though she was out of her element she was sure she could manage to at the least protect herself. At the beginning she remained quiet, coming back to her regular attitude. Usually, there wasn't much she had to say to anyone, let alone a complete stranger. Yet, for some reason this one decided to show her the kindness that many did not. While being a guardian. She came to the conclusion that the pack must be full of strange wolves, it held everything the opposite of what she was accustomed to. "Why are you being so friendly to me?" she asked, her eyes focused ahead. He had said she could ask him any question, so she might as well use it to her advantage. Lily hadn't even given the poor male her name, he still offered to help her, and revealed his powers to her. Although, to her the revealing of his powers was more of a show of attempt then it was meaningful. To her at least, to share such a thing to someone required trust. It wasn't something she confined in everyone about, actually come to think of it she hadn't told anyone in a very long time. "I haven't even told you my name." her eyes drifted around her in search for any sudden movement. For all she knew, with all the talking she had been doing, something..or someone could be following them. Boy did she feel bad for anyone that dare sneak up on them. Notes: Ugh I hate this post, not as descriptive as I wanted it to be. Sorry , the next one will be better. "You don't have to tell me your name for me to help you, besides you weren't scared when you came and talked to me so I trust you won't hurt me unless I upset you and give you a reason. I am being friendly to you because you have a good head on your shoulders and...." He said as he watched her, a slight blush too hold of his cheeks," I think your pretty, I'm kinda a sucker for a pretty, kind and thinking females. Sorry... That was embarassing." The land around her seemed to be all the same as if they were walking in circles endlessly. It was rather exhausting. To her, it looked as if they were not making any progress. Not that she minded too much, this wolf seemed to know how to speak. Never had she met someone so open to helping a complete stranger. She found it strange that the male was so willing to help. It was unlike many wolves and strangely different from what she was accustomed to. However, he was right, until she had a reason to harm him, she wouldn't do so. The corner of her mouth tipped into small smile. This time, unlike the others she was unable to contain it. There was one thing for certain, this he wolf was good with his words and knew what to saw when. It had been a long time since she had received such a friendly comment and it made her feel giddy like a young pup. "I feel as if we are talking about two different wolves." she admitted. Her eyes remained ahead, she refused to look at him and feel another emotion she wasn't ready to experience. "But...thank you." she said quietly after finally managing to get the words out. Somewhere deep down the fear was planted. Fear of growing close to another and of the growing feelings that came along with it. Lily had seen so many crumple due to their lack of control and willingness to do anything for another, sacrificing their life included. Or even growing crazy and aching due to separation. It wasn't something she ever planned to go through, no she was very happy worrying about herself and that was it. Being alone made everything much easier. Thus, why she had spent a great amount of time alone while exploring. Nova led her up a few hills and then down into a gorge where the sparkling caves were, this was where he intended to leave her and wander back to the pack. But something told him not to leave her here until she asked him to. "Here they are, The sparkling caves. Are you sure you will be ok? I can help you look for the wolf or creature your searching for if you want me to." He really needed to get back to the pack as he said those words, and on top of it all he needed sleep. He looked around the entrance looking for anything that would symbolize a creature living here. Nothing to his eyes were found. He sat there and yawned a bit then excused the yawn. He was so tired but kept pushing himself to help this pretty lady. Snow crunched beneath her feet, oh how she had missed the cold. Lily took a few steps towards the cave, stretching her neck to peer inside. "Ill be quiet alright." she managed to say her eyes still focused on the cave. That was completely true, she would be more then 'alright.' It took a lot to hide the excitement bubbling inside her. Lily couldn't wait to discover what lie in the darkness. She was truly amazed by its structure and of course the reminder of home only created a sense of comfort and security. The cold and freezing lands were what she had grown up with, this may be but a form of it but it was definitely surroundings she could work very well in. She shook her head slowly, "No, get some sleep. I promise I'll be around in the morning" she teased. From the looks of it no one had wandered onto this part of land for some time. The snow was fresh and untarnished. Just the way she like it. "Thank you for your kindness" she turned towards him, just enough to dip her head in farewell. With that being done, she continued on word. Inhaling the fresh cold air into her lungs. Whether it was mysteries or danger lurking in this cave, she was certainly soon to find out.